Drizzling outside, sitting near the window with a friend and suddenly she shouts, “Let us have Maggi!! !” Oh how we love our ‘Maggi Bonding’. 2 in the night or 5 in the morning, somehow this magical bowl never seems to disappoint us. Maggi is a “my” brand. Each one of us relate to it. Despite having it since our childhood, given an option we still love to skip our meals to have a bowl of hot Maggi. From a midnight snack to best friend on a vacation, Maggi has always been there. Maggie, the nestle brand was launched in India in 1982. So far Indian consumers were conservative in their eating habits, but the launch of Maggi brought a paradigm shift to the way Indians ate. 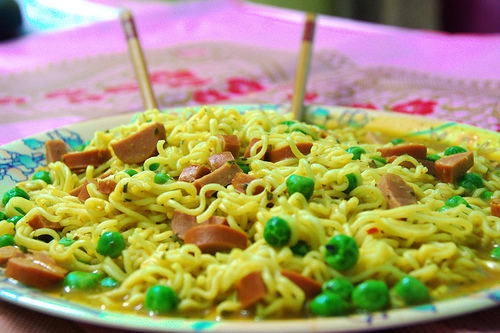 From the traditional Indian dishes rather rose the culture of – instant noodles. Initially Nestle tried to position the Noodles in the platform of convenience targeting the working women. But it found that the sales are not picking up despite heavy promotion. Research then showed that Kids were the largest consumers of the brand. Realizing this, they shifted the focus to children and their mothers and repositioned the brand towards the kids using sales promotions and smart advertising. 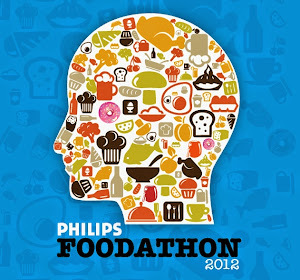 With taglines like “Mummy Bhook Lagi”, “Bas 2 Minute” created a personal connect between the brand and the consumers. Post which Nestle revamped its marketing strategy to keep the Maggi brand fresh in the minds of Indian consumer and reposition Maggi as a ‘health product’. The brand has over the year changed its positioning as well – from a 2 minute noodles, now they talk about health – for the health conscious. No brand can ignore the power of consumers – Consumer is the King and the memory of the consumers is short lived. Unless the rand creates numerous touch points and innovates the way it communicates, people tend to look the other way, towards the other interesting brands. Maggi has generally stayed away from taking the celebrity endorsement route. The only exception was roping in actor, Preity Zinta for a brief period, to promote the Rs 5 Chotu Maggi and the Maggi family packs. To make consumers part of the brand’s journey, Maggi launched a commercial which spoke about various memories people associate with Maggi. The ad has been conceptualised by Publicis India and works on the favourite emotions of Indians – Nostalgia! 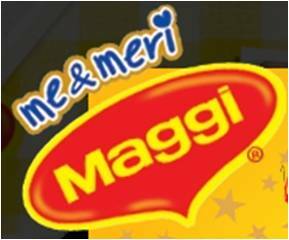 The advertisement opened with a voiceover, which said that one has many memories attached with Maggi over a period of 25 years. The ad is a collection of short vignettes, showcasing consumers’ memories of Maggi. For instance, one child remembers eating Maggi on a camping trip; while another person remembers serving Maggi, when people were stuck in the Mumbai floods. 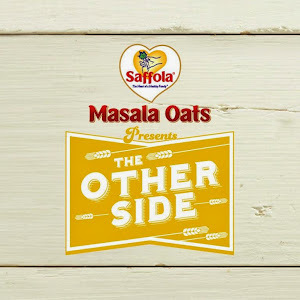 The ad concludes with consumers being invited to share their own Maggi story, through which they can get a chance to feature on the Maggi packs or ads. As a part of its promotional drive, Maggi has launched a website, meandmeri.in, where consumers can upload their Maggi moments and submit their favourite Maggi recipe. Consumers, whose stories or recipes are a hit with the company, will get a chance to be featured on Maggi packs or ads. Maggi synonymous with noodles in India used real stories from its consumers' loves taking storytelling to a whole new level and one can only guess what they come up with next! Lat but not the least, being a cook, I cannot ignore but talk about the different ways we can cook it – plain, with vegetables, Chinese style and so many more ways and each one gives a different flavour altogether – Mesmerizing! ·You can either boil the noodles separately or add it to the roasted Masala or you can break the uncooked noodles into smaller portions and roast it a little before adding water and bringing the whole thing to a boil. WOW interestingly this article takes your 2 minutes to read it. 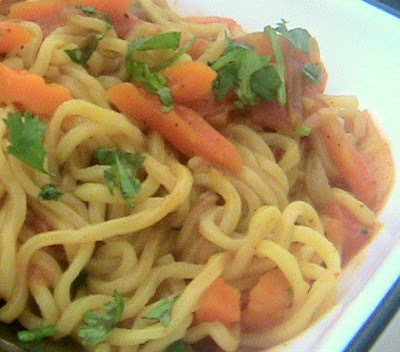 This is the Nice combination of Reading about Maggi as well as making Maggi both in 2 minutes. So who so ever wants to have Maggi then your time starts now.1...2...3........ 120 Seconds. Now meri Maggi no no no no your Maggi is here.